Docphin’s (http://www.docphin.com) provider platform streamlines access to medical research from over 5000 journals and recommends content that’s relevant to your interests and trending among your peers. Docphin’s hospital platform enables departments and residency programs to upload clinical guidelines, hospital protocols, and decision-making references for mobile access and provides detailed engagement metrics to help accelerate the implementation process within the healthcare system. Docphin is used at over 350 institutions in more than 15 countries by all types of providers and students including physicians, nurses, pharmacists, engineers, and scientists. Docphin is available for iPhone, iPad, Android, and Web. Knowmedge (http://www.knowmedge.com) is a medical exam prep provider focused on Internal Medicine board review questions. 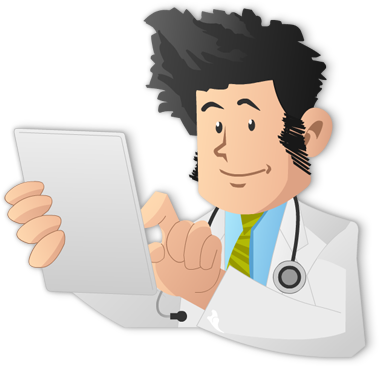 The Knowmedge Internal Medicine question bank contains over 900 board review questions. The question bank has been used by physicians and residents at over 100 institutions. The question bank is used by physicians preparing for the numerous exams, including ABIM Board exam, In-training Exam, Internal Medicine Shelf exam, and the USMLE Step 3 exam.